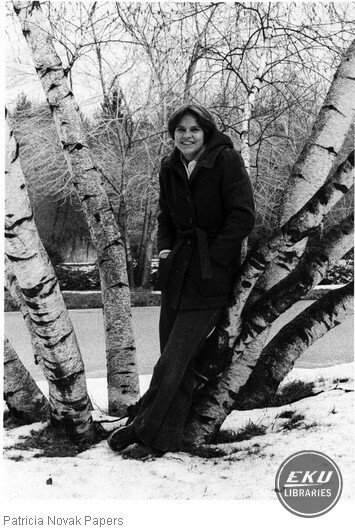 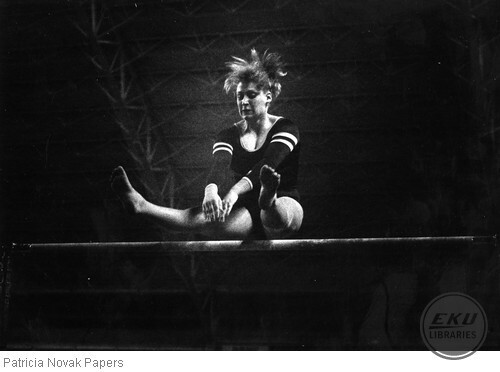 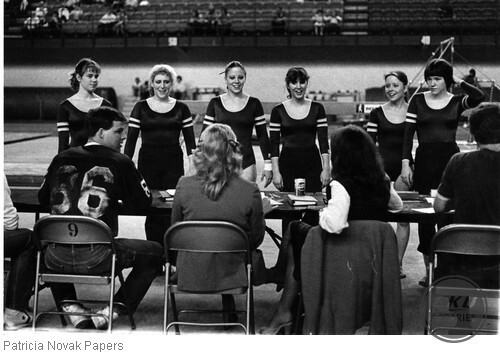 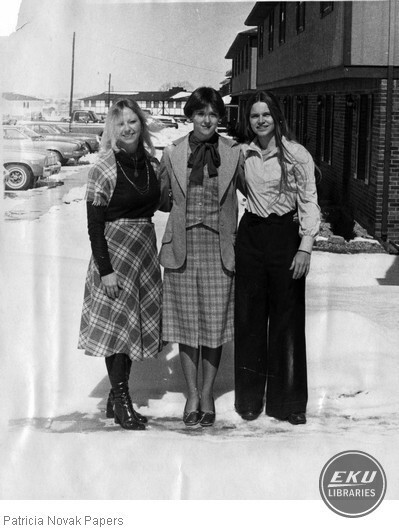 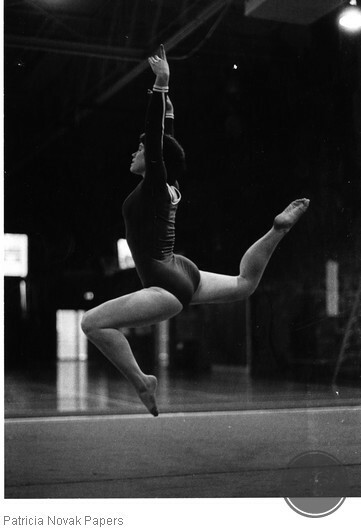 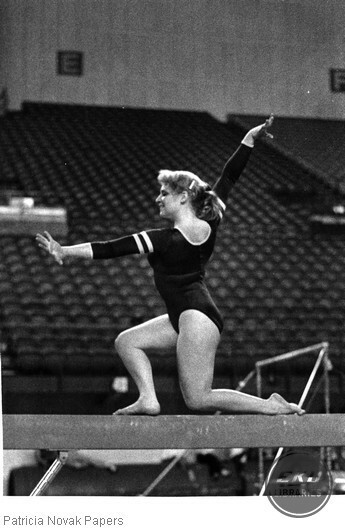 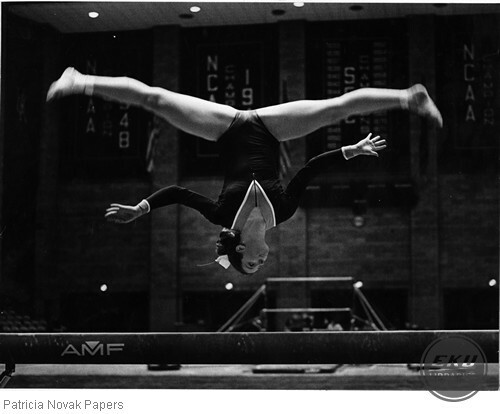 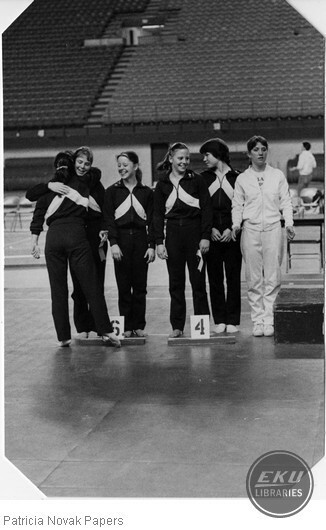 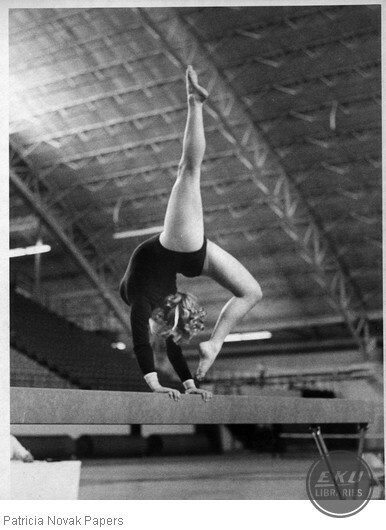 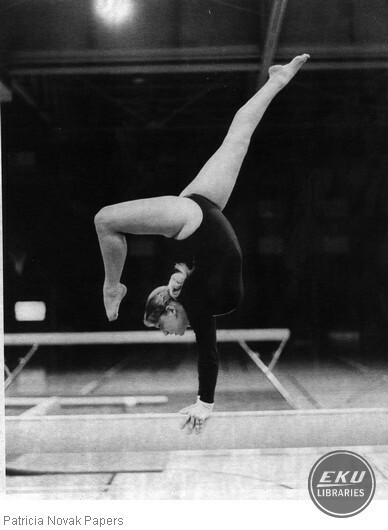 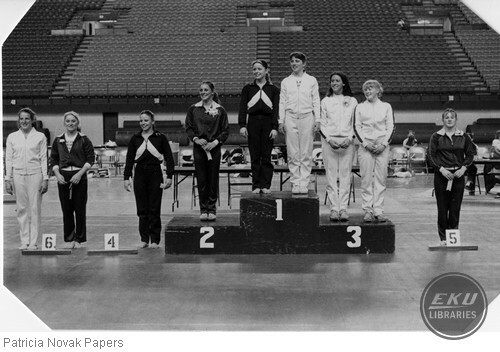 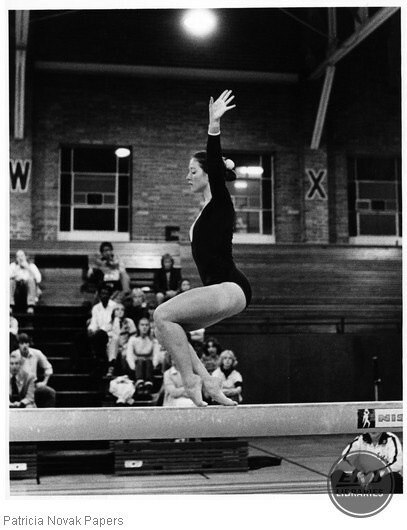 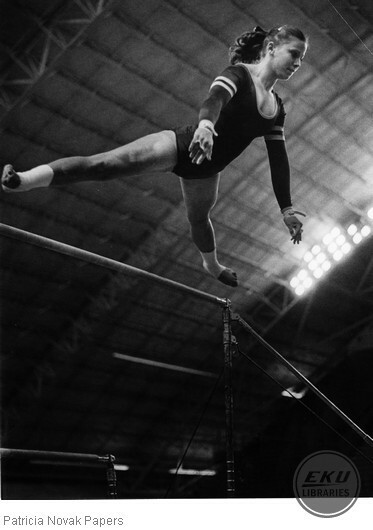 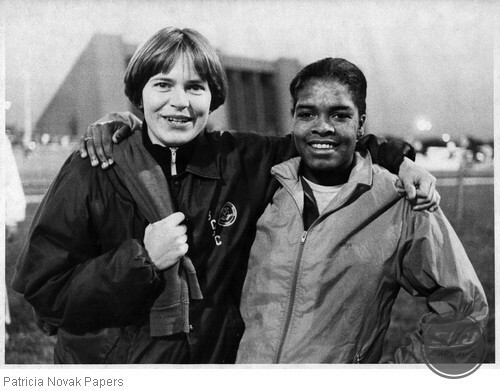 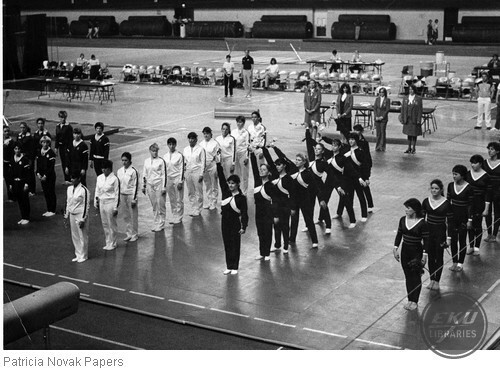 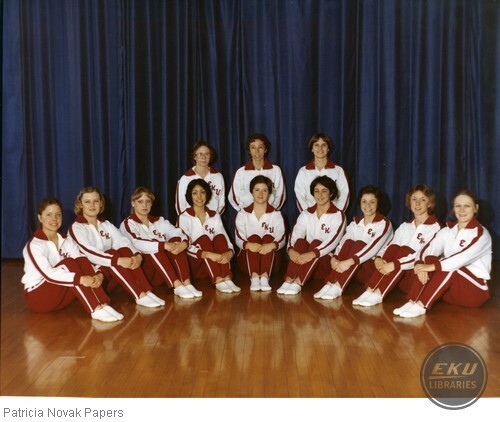 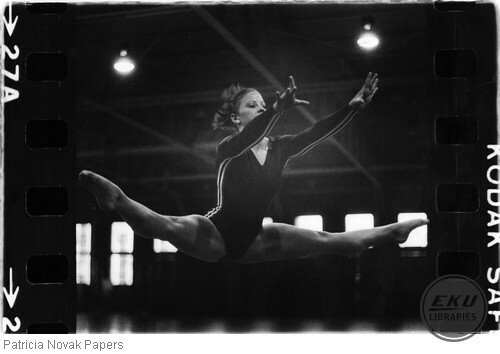 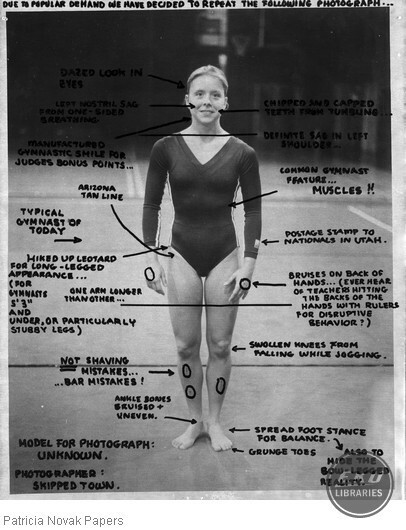 Patricia J. Novak was the pianist for the EKU Women's Gymnastics team while she was a graduate student at Eastern. 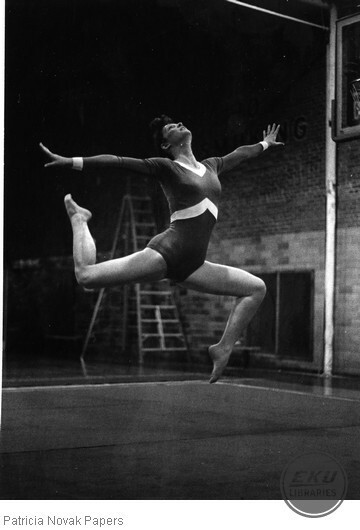 She played for the floor exercises during practices and meets. 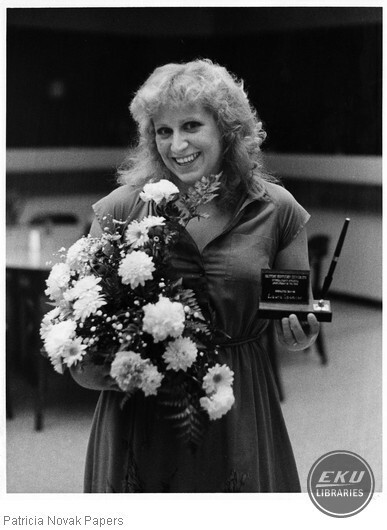 Ms. Novak also wrote most of the music she played and her compositions are part of the collection. 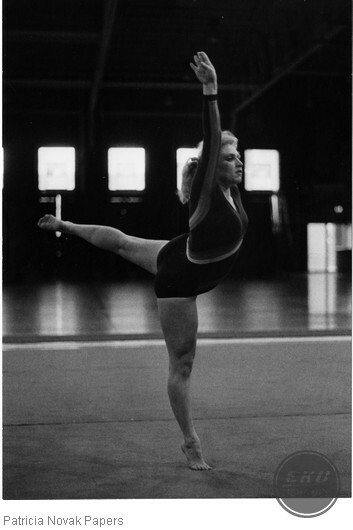 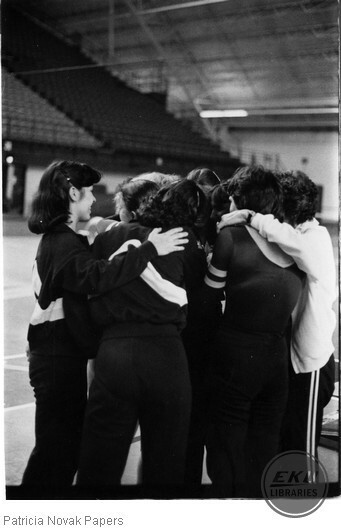 She also served as the unofficial team photographer and the collection includes several hundred photographs that she took of the team during practice and competitions. 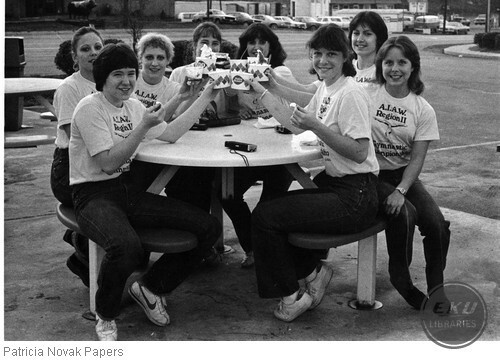 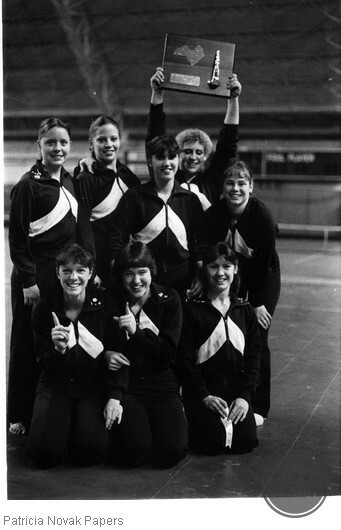 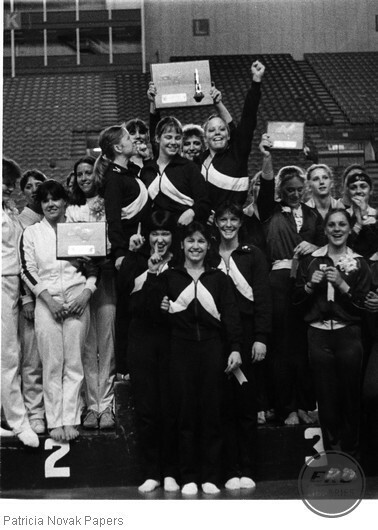 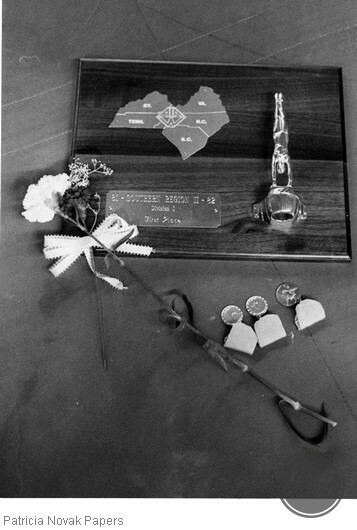 This collection contains team scrapbooks, news clippings, scorecards and information about the disbanding of the program. 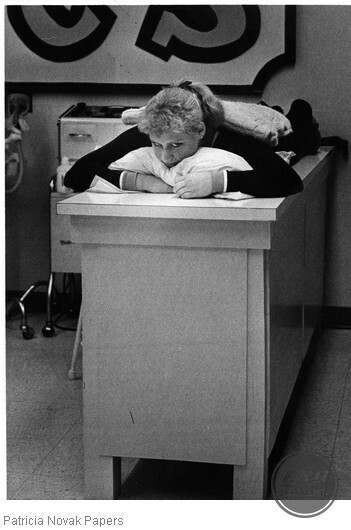 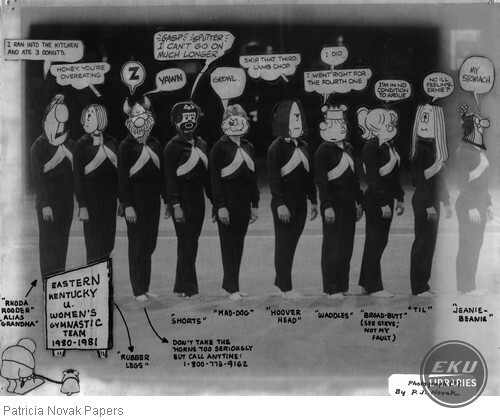 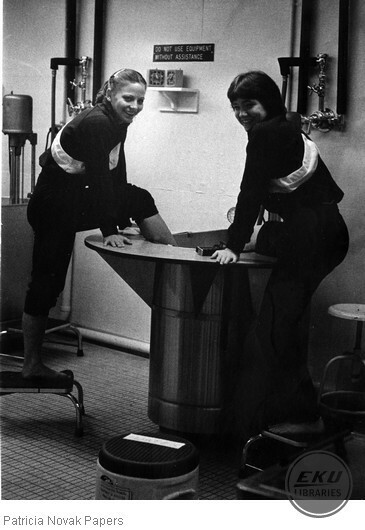 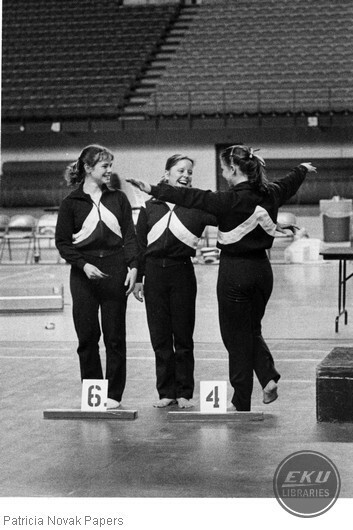 Also included in the scrapbooks are some EKU theater programs as one of the gymnasts also performed in several plays. 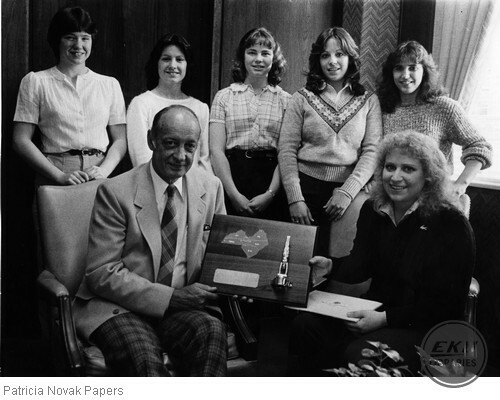 Shelley Gustin, Kim Jenkins, Laura Madden, Susan Law, Elaine Hoke, Laura Spencer posing with trophy and President J.C. Powell.